Our product range includes a wide range of pvc belt conveyor, inclined belt conveyor, aggregate feeding belt conveyors, belt conveyor and rubber belt conveyor. 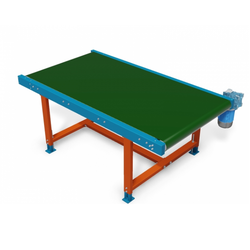 Our expertise lies in offering an exclusive array of Mobile Dock Leveler to our esteemed clients at reasonable prices. These products are manufactured by our adroit professionals using excellent quality raw material and latest technology. We are the applauded organization in the field of manufacture, supply and export of Aggregate Feeding Belt Conveyors to the clients from the heavy industries. 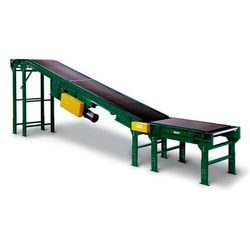 Premium quality, sturdy construction, reliable performance, and durability are the trademark characteristics of these feeding belt conveyors. 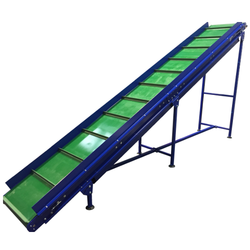 These belt conveyors are manufactured from the best quality material and have high tensile strength. Furthermore, these are able to deliver hassle free performance. 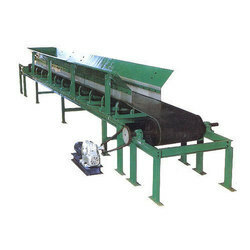 We have established ourselves as reliable manufacturer and supplier of immense catalogue of eco friendly Belt Conveyor. 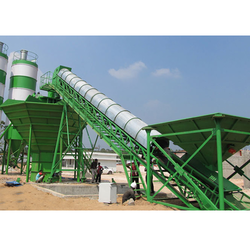 These offered conveyors consist of two or more pulleys for carrying materials in cement, mining, paper and pulping, pharma and other light and heavy engineering industries. These belts are manufactured in accordance with latest industrial standards by using high grade components and based parts with progressive technology by attaining maximal clients’ satisfaction. We provide best quality of rubber belt conveyor with cost effective prices.